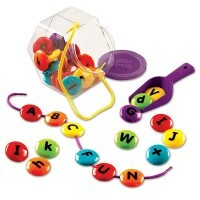 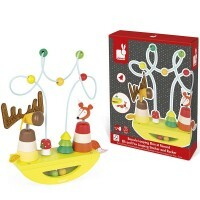 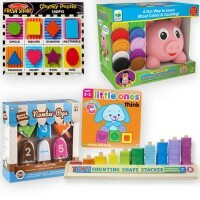 Learning Resources' Stack 'em up Doughnuts is the yummiest stacking toy for toddlers! 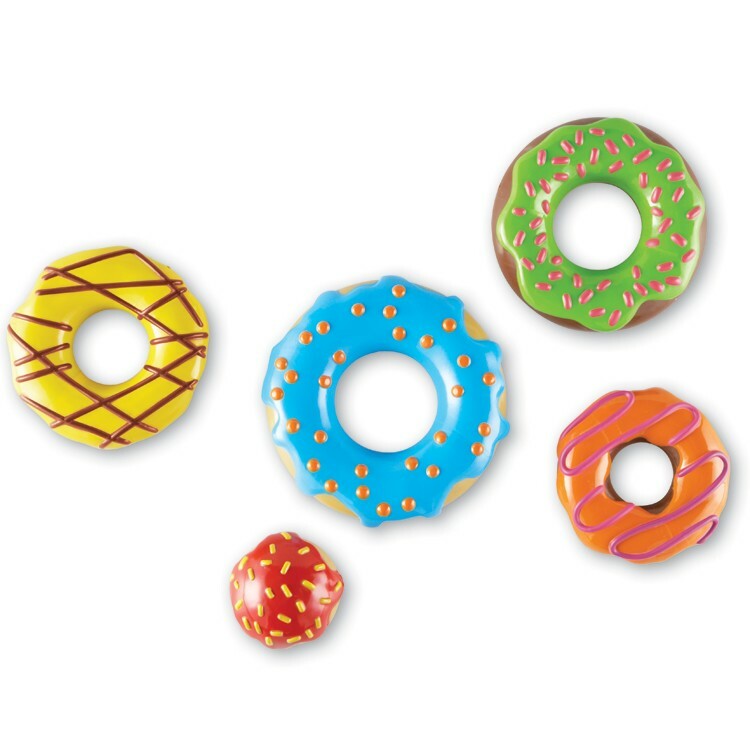 These yummy looking doughnuts are really healthy for children - they make them think, improve their manipulative skills and get smarter! 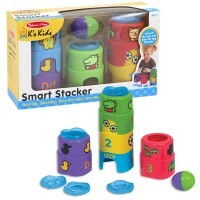 Smart Snacks Stacking Doughnuts Toy by Learning Resources is a toddler classic ring stacker with great attractive design. 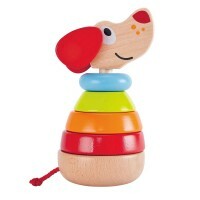 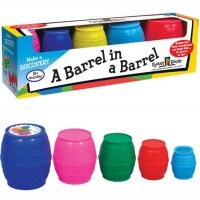 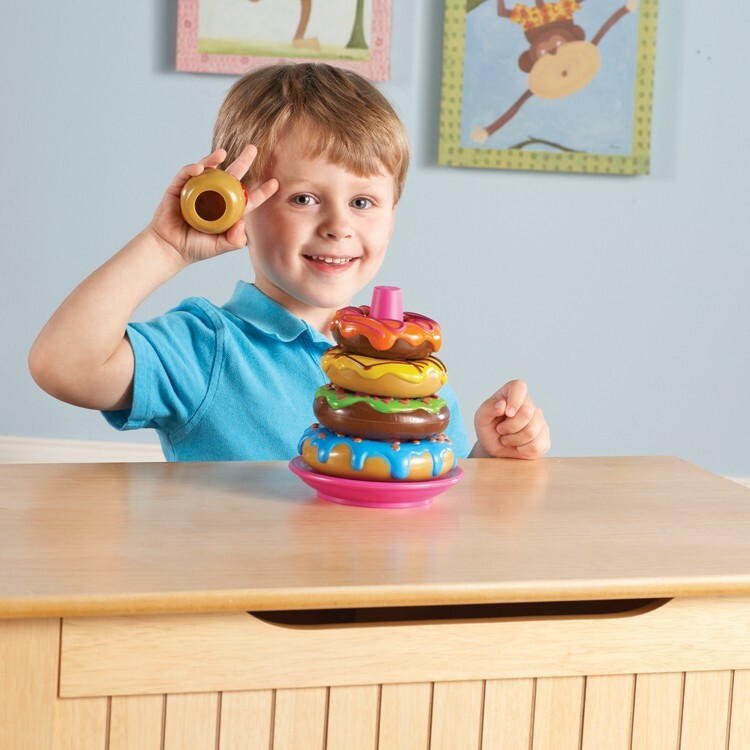 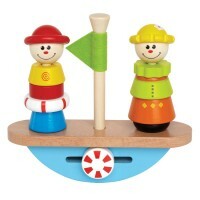 This kids stacking toy features a chunky plate-based stand and 5 doughnut shaped rings of various colors and sizes. 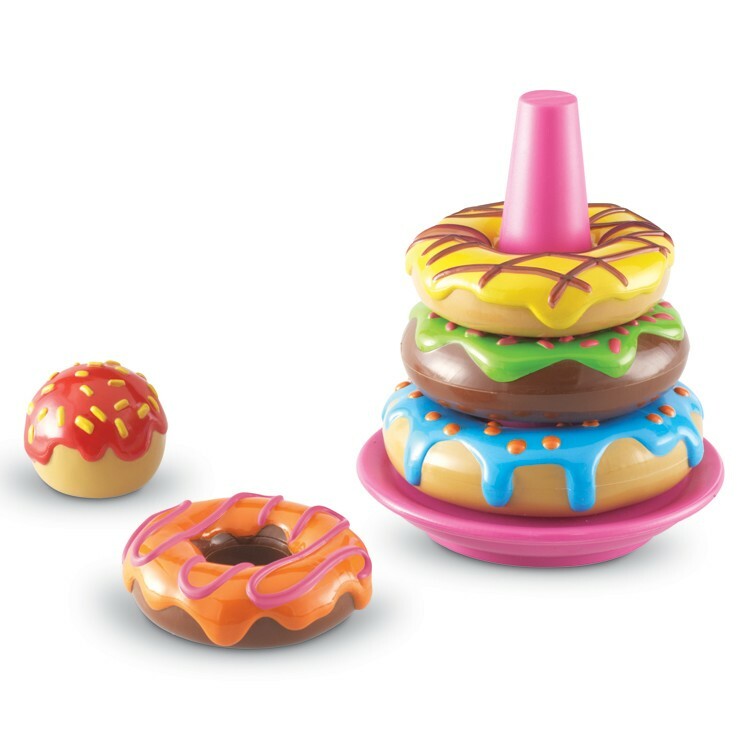 Toddlers will find the right size doughnut, stack the rings from biggest to smallest to fit the doughnut holes, and play with these smart snacks as long as they like! 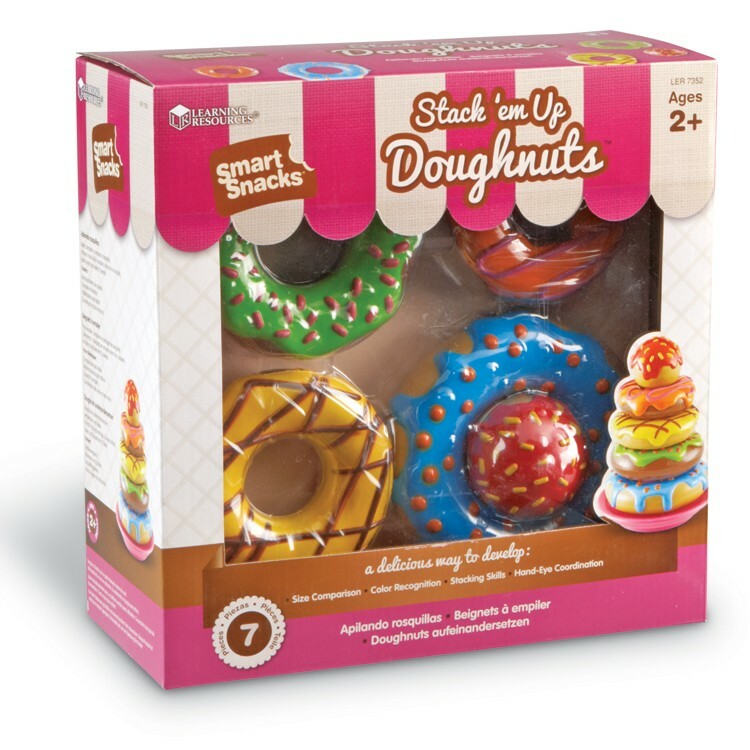 The largest ring from Smart Snacks Stacking Doughnuts Toy measures 5 inches in diameter. 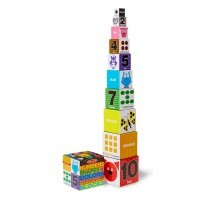 This bright colors tot stacker from Educational Toys Planet is made of kids-safe plastic and complies with all US Toy Safety regulations. 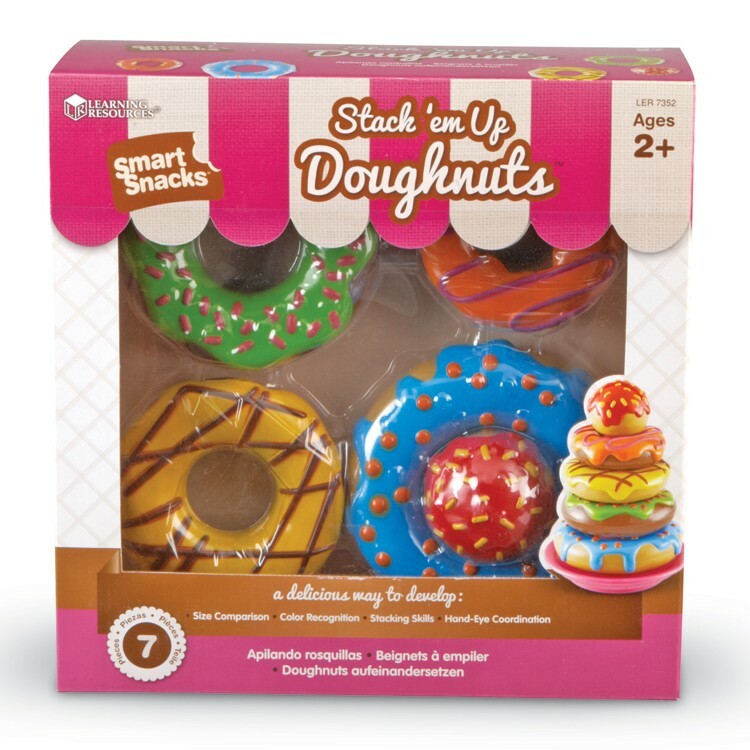 Dimensions of package 10" x 10" x 4.5"
Write your own review of Smart Snacks Stacking Doughnuts Toy. 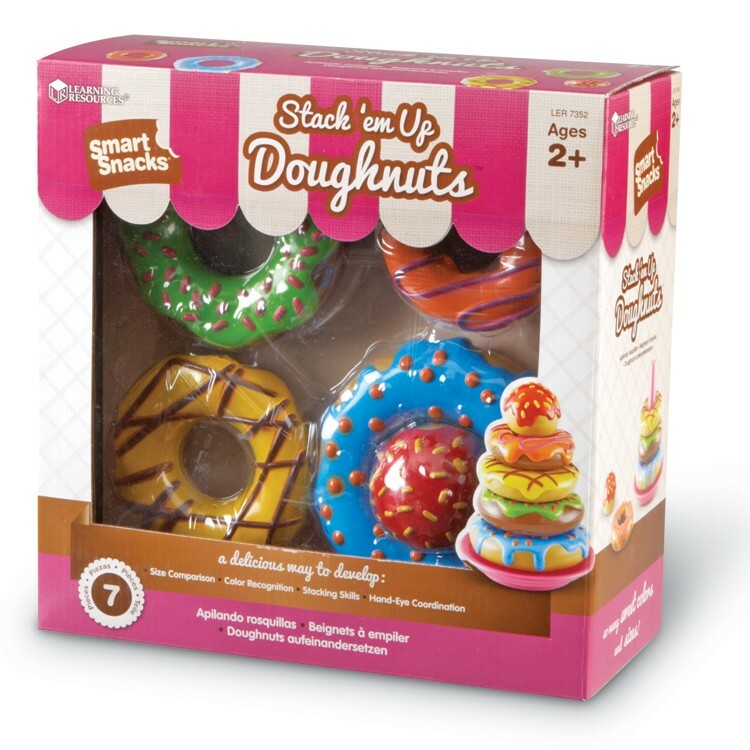 Rating: 5 Fun and pretty, by Jj My granddaughter loves the brightness of these donuts.